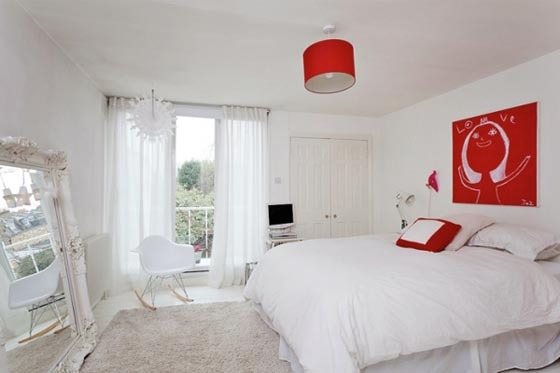 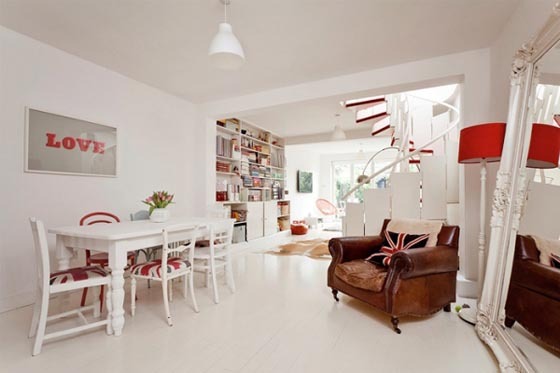 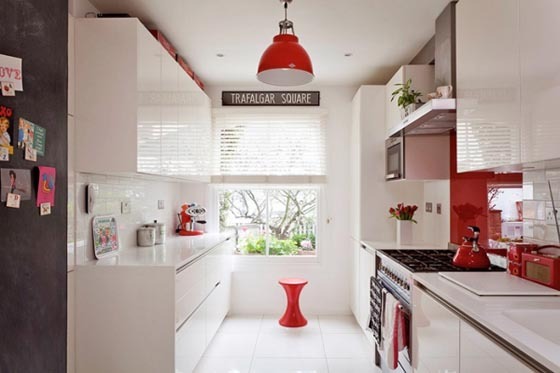 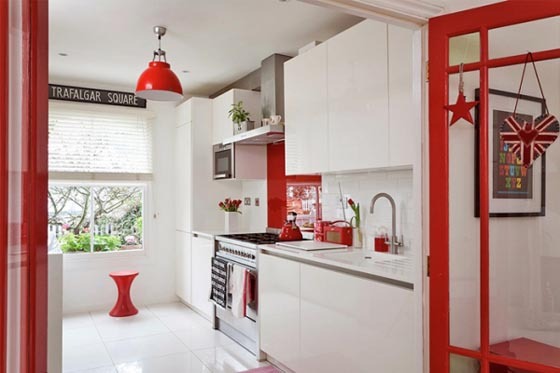 This simple but cheerful family home in Ravenscourt, London has been decorated with a simple red and white theme with a retro touch. 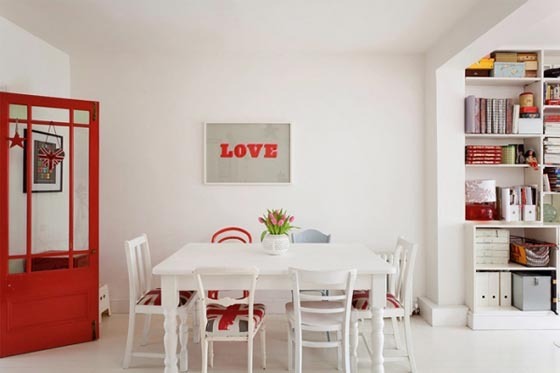 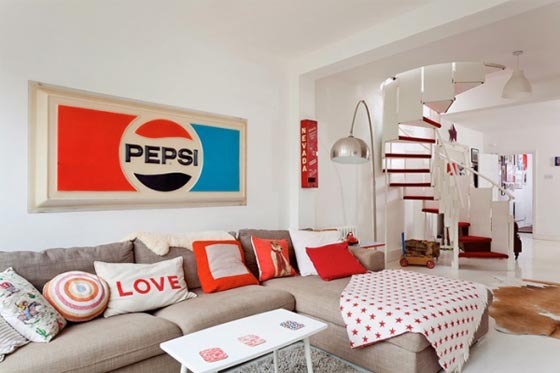 Red accents like doors, stairs, chair, lighting, painting and cushion are carefully selected and placed around in the white room. 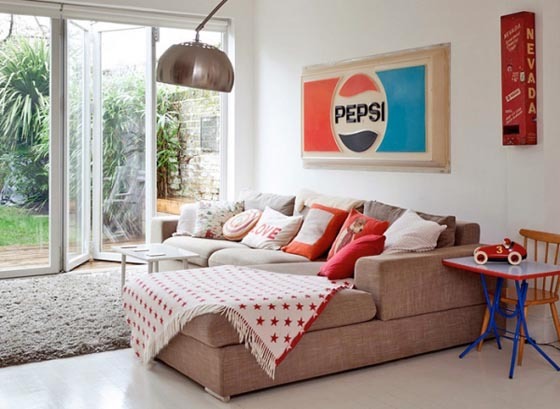 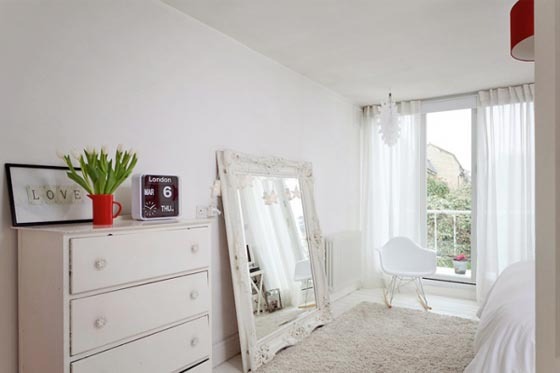 The eclectic decor provides a sense of quirkiness that feels both homey and stylish. 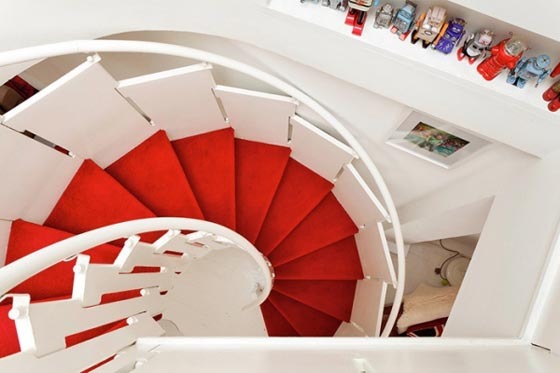 The red carpeted spiral staircase successfully connected two floors and provides continuity to the theme. 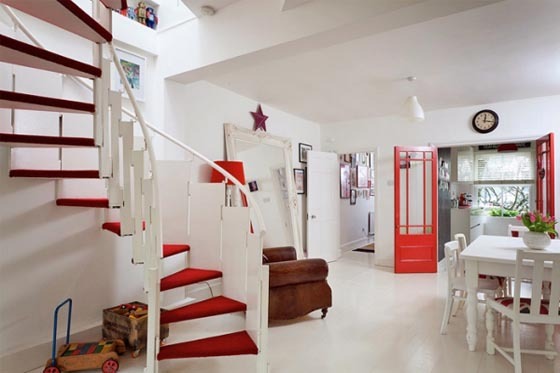 Such a lovely and playful house!